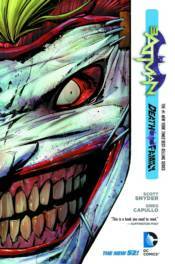 After having his face sliced off, The Joker makes his horrifying return to Gotham City in this epic from issues #13-17 that shook Batman to his core! But even for a man who's committed a lifetime of murder, he's more dangerous than ever before. How can Batman protect his city and those he's closest to?